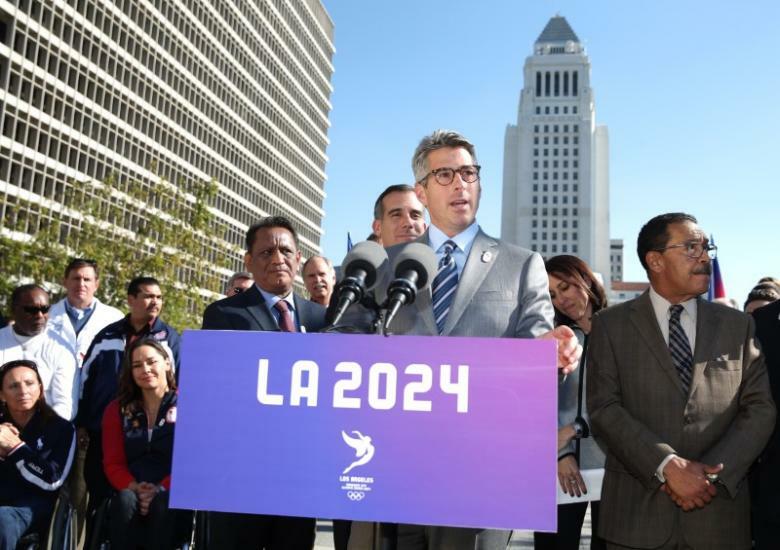 Los Angeles 2028 chairman Casey Wasserman has claimed that a United States attempt to host the 2026 Winter Olympic and Paralympic Games would “require a lot of conversation” with the Californian city before a bid is formally launched. The historic decision to officially award the 2024 and 2028 Summer Games to Paris and Los Angeles at the same time was made on September 13 at the International Olympic Committee (IOC) Session in Lima. The Californian city will welcome the Summer Games for a third time, after also playing host in 1932 and 1984, and the Paralympic Games for the first time. Wasserman, who attended a United States Olympic Committee (USOC) media summit in Park City in Utah, claimed that talks must be held between the Californian city and any prospective US 2026 bidder. Park City is a winter-sport hub in the US and hosted events at the Salt Lake City 2002 Winter Olympic Games. “It’s not up for us to decide whether those cities in the US want to participate but certainly before they formally bid it will require a lot of conversation and a deep understanding of how that would affect us, how that would create challenges and how that might create opportunities,” Wasserman said, according to Reuters. “There are real challenges from a timing perspective, two years before us. “But I think our approach has been, the Olympic Games, whether Summer or Winter, are good for American athletes. USOC is expected to discuss possible bids for the 2026 Games at its Board meeting next month. The United States has previously staged the Winter Games on four occasions, in Salt Lake City, Lake Placid in 1932 and 1980 and Squaw Valley in 1960. USOC chairman Larry Probst believes that with the next two editions of the Winter Games being held in Asia, Pyeongchang in 2018 and Beijing in 2022, it is time for an American or European host to step forward. “[IOC President] Thomas Bach has publicly stated he’d like to see the Winter Games return to a more traditional location, and to me, that’s code for Europe or North America,” he added. The IOC has moved to address public apathy to bidding by pledging to reform the process for 2026. They are aiming to shift towards a system that will “reduce costs, simplify procedures and provide more assistance to National Olympic Committees and cities”. An invitation phase lasting a full year has been approved, with the formal candidature phase shortened from two years to one. Innsbruck in Austria, Sion in Switzerland and Calgary in Canada are among other contenders for 2026.